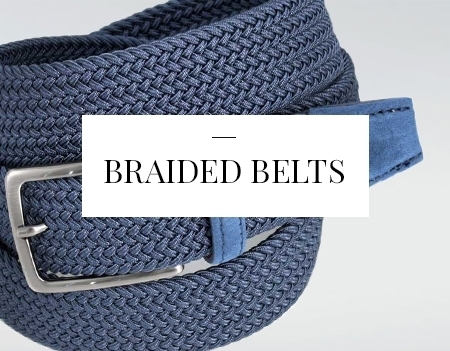 All belts are made within Paolo Da Ponte Italia's firm and some working phases are strictly handcrafted. 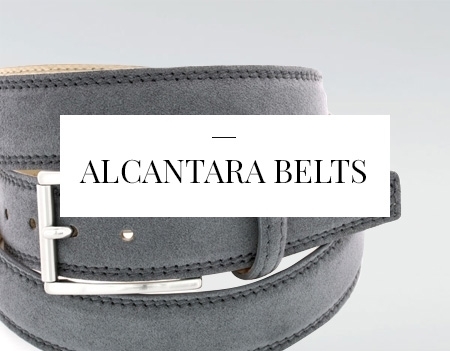 Our belts are in genuine calfskin, we also manufacture belts in unusual materials such as alcantara, wood, cork and braided ribbons. 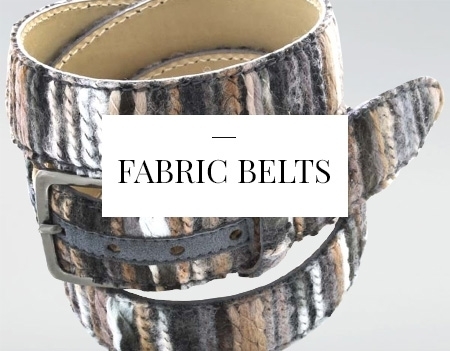 Each element of the belts is carefully chosen in accordance with quality criteria, from the skins used to the sewing threads. 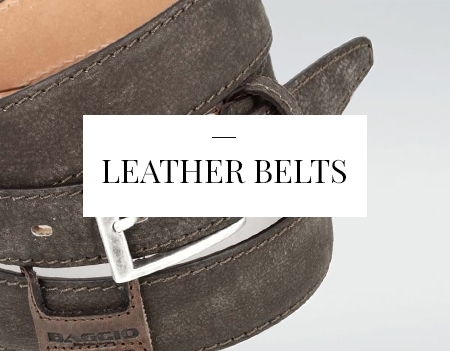 The buckles are also carefully selected. All buckles are nickel tested. All belts are ready to be easily shortened. 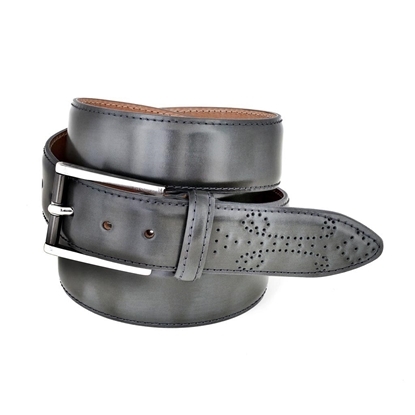 Brushed glossy calf leather belt with fretworked tip - sewed belt - Calf leather lining - Metal buckle - Nickel free burnished glossy - Handmade in Italy - Width 3,5 cm. - Avalaible in different colors - Adjustable size. Michele Baggio is a registered trademark owned by Paolo Da Ponte Italia S.r.l. 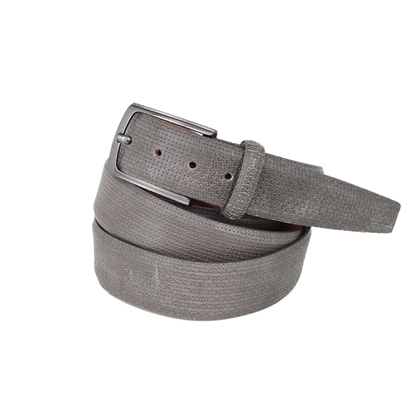 Middle grey printed calf leather belt - Sewed belt - Calf leather lining - Burnished glossy nickel free metal buckle - Handmade in Italy - Width 3,5 cm. - Adjustable size - Available in different colors. Michele Baggio is a registered trademark owned by Paolo Da Ponte Italia S.r.l.